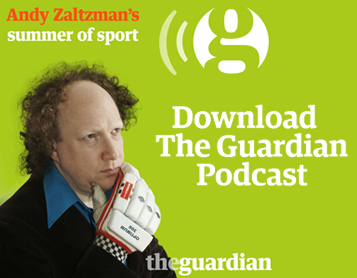 He is the writer and presenter of the satirical podcast The Bugle, one of iTunes’s biggest ever comedy podcasts. 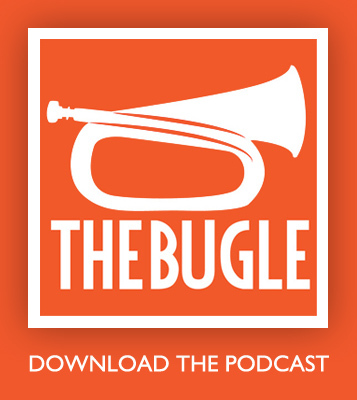 Since The Bugle’s inception in 2007 it has gained a worldwide fan-base – including a prominent US audience. It has aired almost 200 episodes and averages 2 million downloads a month. With thousands of 5-star reviews on iTunes, it has been described as “a roaring success” by The Independent. Initially co-written and presented with John Oliver (host of HBO’s Last Week Tonight), the podcast has now been relaunched as part of the Radiotopia network, with ANDY joined by a revolving group of regular co-hosts including Hari Kondabolu, Nish Kumar, Wyatt Cenac and Helen Zaltzman. Andy made his Edinburgh Fringe debut in 2001, when he was nominated for Best Newcomer, and has now performed at the festival 14 times. Andy has been regularly performing his hit live show Satirist For Hire since its debut in Edinburgh in 2013 – no two shows are ever the same as each night he satirises topics sent in by the audience. Following Andy’s sell-out UK tour of Satirist For Hire in 2014, he has performed the show all over the world, including India, Australia and a hugely successful tour of the US in 2016, where he returns to perform a second leg in 2017.